Home>New Songs>Mysonne Songs> Mysonne Disses Joyner Lucas On His "Litty / ZEZE" Freestyle..
Mysonne seizes his chance with a diss record aimed at Joyner Lucas. It's interesting how verbal stats seem to arise out of a miscue. 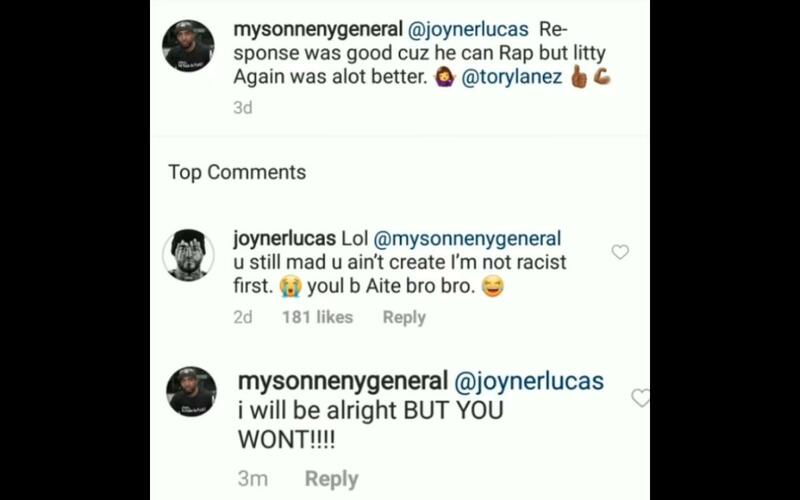 That's exactly what happened when Mysonne, who considers himself an afinicicado of battle rap, and perhaps deservedly so, decided to weigh his opinion on the rap exhibition put on between Joyner Lucas and Tory Lanez. His plaudits went to Tory Lanez, "Litty Again" edging "Litty" by a comfortable margin. 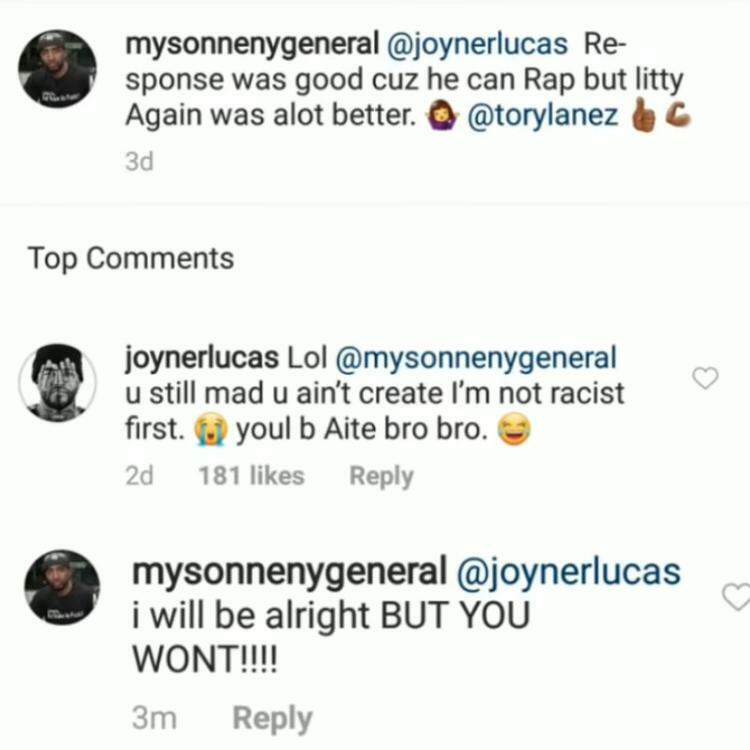 Joyner Lucas' response to Mysonne was to suggest the NY rapper was jealous of his success, and furthermore of his breakout hit, "I'm Not Racist," to which Mysonne replied, "I will be alright but YOU WON'T." That was the last heard of their correspondence until this afternoon when Mysonne poked completed a diss record as his next rebuttal. With "Litty / ZEZE" Freestyle.. Mysonne is essentially demanding a piece of the action. I for one, understand the power of NOT being polite. Take what you want Mr. Mysonne, "for the culture," as you put it so eloquently. Going up against a n**** who barely got his GED. SONGS Mysonne Disses Joyner Lucas On His "Litty / ZEZE" Freestyle..